Moving money internationally is never easy. At this point you probably already know that. So as you research options to get money into China, it helps to know what has worked in the past and which methods are the cheapest for transferring money internationally. It doesn’t matter whether you’re a broke traveler who needs money quickly or you’re trying to pay for something in China using funds stored outside of China. In both cases, it is essential to understand the cheapest and fastest ways to send money to China (or perhaps get money to you in China). Note: If you’re looking for ideas on how to send money out of China, check out our Guide to Sending Money from China. The good news is that China is full of banks at almost every street corner. That means ATM’s, quick cash and convenience. The bad news is that it comes at a price. Whether that’s time standing in line, time waiting for a wire transfer, or bank fees, you’re going to have to pay somehow. So based on my years of experience, here’s a quick rundown of the 5 Cheapest Ways to get money into China. No doubt you should always have a little cash on hand (US dollars are still the easiest to convert), it’s just a matter of how much. I’ve walked through Chinese customs with a couple hundred dollars and I’ve also walked across with a couple thousand. Both worked great, the latter was just harder on the nerves. How Much Cash Can You Bring into China? According to China’s customs office, a traveler can carry with them 20,000 RMB in cash or a foreign currency equivalent of US $5,000 without declaring it. Anything over these amounts must be processed by Customs. A more secure, albeit antiquated option is traveler’s checks. For decades this used to be the method of choice for international travelers, although it’s now it’s no longer as popular. Not only is it difficult to find a place to buy traveler’s checks nowadays, it’s cumbersome to cash them. In China, I’ve waiting in line for two hours just to get a check cashed! The problem with both of these options is that although they are very cheap, getting the money converted to Renminbi is often a nightmare. Exchange rates at the airport are horrendous and the effort to get a fair shake at a bank could cost you an entire half of your day. My advice: Use cash walked across the border as a backup plan in case something goes wrong. Don’t use it as your primary way to get money. Withdrawal Limits: There is a withdrawal limit, usually somewhere around 2,000-3,000RMB per day. Interestingly, this limit is often imposed by your personal bank, not by the Chinese ATM (you can withdrawal multiple times from the same ATM). One way to get around this is to use multiple accounts or, if you’re traveling with your spouse who has his/her own debit card, you can use both cards to withdrawal from the same account in a single day. Bank Fees: It’s a rare bank that doesn’t charge ATM fees, so expect somewhere between US$5-10 to show up on your statement every time you use the ATM. On top of that, you’re also getting an exchange rate that isn’t as good as if you were to walk into the bank with cash. My advice: ATM’s are a great option but when you use one, take out the max withdrawal limit so you don’t have to do it more than once. Also, carry two cards if possible (debit, not credit). Sometimes it just doesn’t work and you don’t want to get stuck. Tip #2: Make sure you know your debit card PIN number! We don’t often use our debit cards back home, so it’s easy to forget our PIN numbers, and yet you can’t pull money from a Chinese ATM without it. 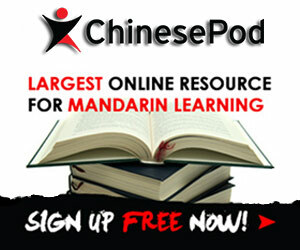 Get more valuable China tips in this free PDF download! Wire transfers may not be the most efficient way for travelers to get their money to China, but it does allow for larger sums of money to be transfered. Best Option: Transferwise – One of the fastest and easiest ways to initiate a wire transfer to China is through a service like Transferwise. The money is guaranteed within 82 hours (my experience has been faster) and although the fees may look slightly higher than your bank, what you may not realize is that Transferwise gives you a better exchange rate. The only downside? Wire transfers from services like these are capped at about US$5,000 (or 31,000 RMB in some cases) per transaction. Bank Wire Transfers: Back in the US I bank with Chase. In less than 15 minutes I was able to log into my account online, set up a new “wire recipient” and then make the transfer. It cost me about $40 for each transfer regardless of the amount, but it’s hassle free. The two big issues with this method are that 1) you have to have all the information for the China bank exactly correct (and often in Chinese) in order for the wire to be accepted and 2) the whole process takes about a week. For transfers over US$5,000, this is likely your only option. If this interests you, you should consider opening a Chinese bank account for yourself. Fastest: MoneyGram – There are companies like MoneyGram (for UK residents, visit MoneyGram’s UK site), however, that charge about the same fee as your bank but can have your money available in less than a day. In my experience, it works well but has been a hassle on the China end. I accessed the money quickly but had to stand in line at the bank to retrieve the money and then stand in line again to convert it to Renminbi (you can’t send Renminbi, you have to send your home currency). My Advice: Check with your bank to see what they charge. If you need to make transfers regularly it’s just too convenient not to use something like Transferwise. If it’s a one-time deal consider a service like MoneyGram. Believe it or not, writing yourself a check from your home bank is a perfectly viable way to get money into a China bank account. Your China bank will probably charge you an insignificant fee (around US$15) and your home bank will charge you nothing. There is a BIG catch, though. The check takes anywhere between 30-60 days to clear. Yikes! I don’t like waiting that long, so I prefer not to use this method, but I have many friends who do. My Advice: if you can plan far enough ahead, writing a check to yourself might not be a bad option. This is a newer option that works well for purchases within China if you’re a high-end traveler (not an option for transferring money, though). In bigger Chinese cities you can use a credit card to pay for your hotel stays and some restaurants. There are some credit cards that boast no fees for international purchases. You have to check how they calculate exchange rates, but usually this can be a pretty good deal. The only down side is that anything less than a major department store or 5-star hotel will not accept credit cards. You’re still going to need cash, and using your credit card to get cash is not a good option. There are two things you need to consider when planning to transfer money into China: 1) how much money do you need to transfer and 2) how fast do you need the money. For anything under US $5,000, you have a number of options including walking the cash across the border, transferring using Transferwise or even writing a check. Anything above $5,000 and visiting your local bank is really your only option. If speed is of importance, MoneyGram can get the money overseas within a couple hours. All other options take anywhere from a couple days to more than a week. What are the best ways you’ve come across to get money into China? I am moving to Shenzhen in January to teach(min of 1 year). I have no idea as to how to best send money home (in a savings account) on a regular basis. I want to save a portion of my salary and send it home, without having to sacrifice half of it in exchange rates’ and transfer’s fees. Also, is it better to send money at every paycheck or to wait a couple of months and then send higher amounts? i love your website: very informative and reader-friendly. keep up the great work!!!! Hi Rita, in my experience, you can save a little bit of money by waiting every couple of months – but it’s not a lot. Your best bet is to send money home via a wire transfer with your Chinese bank. It’s the most up-to-date exchange rate and you avoid a lot of the other transfer fees involved. There are a lot of services that can help you get money INTO China, but very few of them are allowed to help you get money OUT of China.